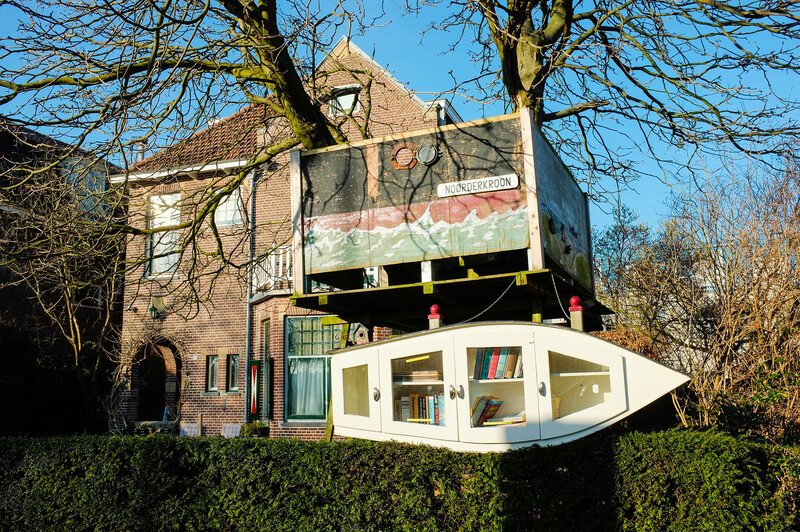 I'm guessing the converted boat is a convenient "book exchange" for passing canal boats? Now it's rediscovered especially by young people as a hip and trendy place for living and relaxing. I think it's a lot more interesting than the old centre of Amsterdam which is being flooded with an overload of Airbnb tourists. I shot a series of images, all with my vintage (introduced in 2010) Fuji X100, the original version. All images are post processed from in-camera Astia Jpegs (I love Fuji colours!). 1. The ferry arrives from Central Station to the NDSM quarter. 17. What would Amsterdam be without the tourist cliche of a peepshow? 18. People enjoying the February sun at restaurant/bar "Hangar"
19. Just around the corner this characteristic building "Op Zeezand"
First image shot with Panasonic 8-18mm f2.8-4 lens. Another image from my archives which I hadn't selected earlier. Shot from a moving boat, with a Fuji X100. For best result select full size and click.